3/5 thumbs up. I like it. I believe you can only get this at Müller, a german droguerie chain, it is their home brand. You can see the Müller logo on the tube. 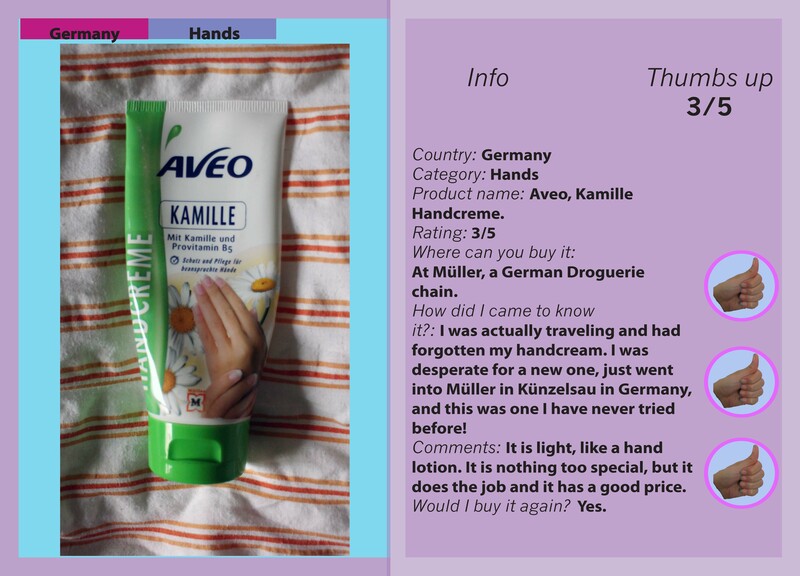 This is a nice basic hand cream. Sometimes this cheap ones are actually low quality, but this is one I see myself buying again. If you want something that does the job at a low price, this is a good option. No strong or special scent, it is quite lite, almost like a lotion.